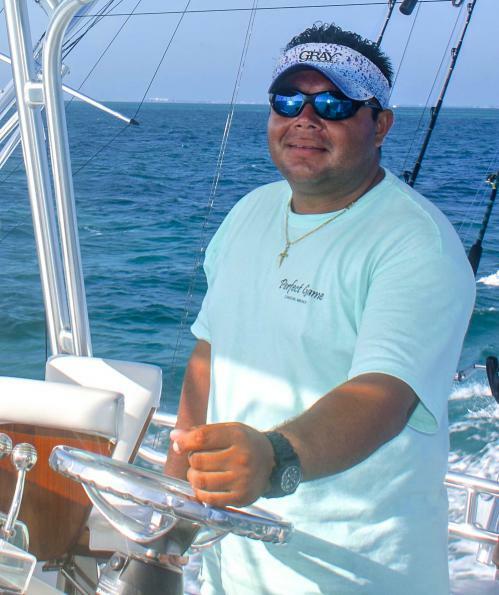 Perfect Game is owned and operated by Captain Francisco Fajardo. 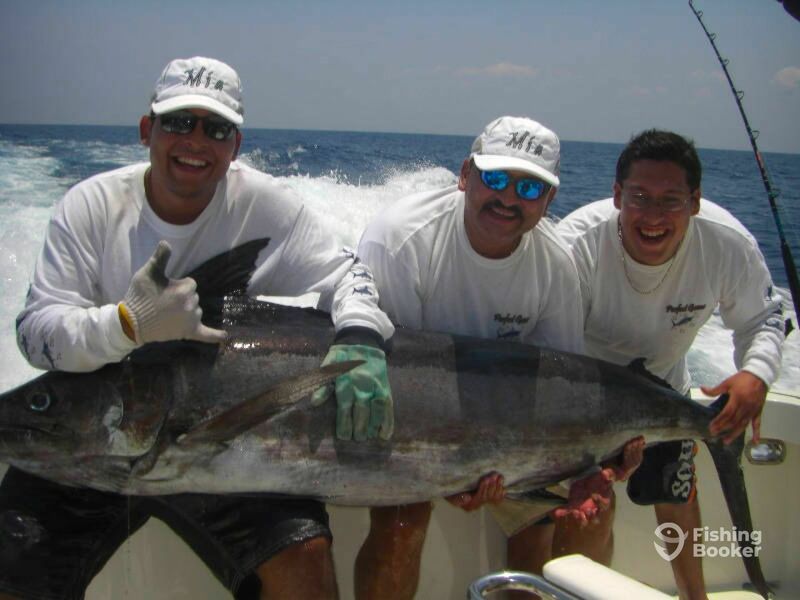 With more than ten years of experience as a professional sportfishing captain, Francisco Fajardo is well known in Cancun and Isla Mujeres as one of the best captains in the business because of his experience, skills, and the ability to put his clients on the fish. 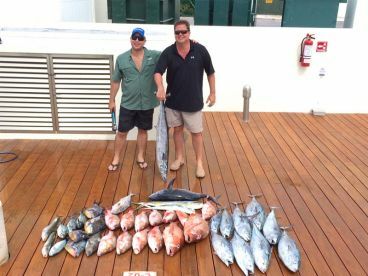 We spent all a little more money on this fishing trip than we usually do. I didn’t regret it at all. This crew had perfect plan and executed. 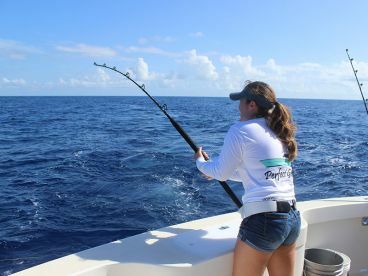 We caught fish all day from big sailfish and tuna, to bottom fish. We had the time of our lives. This crew is very professional and the boat is fantastic. If you want to go out for a once in a lifetime experience go with this team..
Great boat. First class all the way. Captain Francisco, Mates Mauricio and Marcus were amazing. Made my family feel special. Would highly recommend. 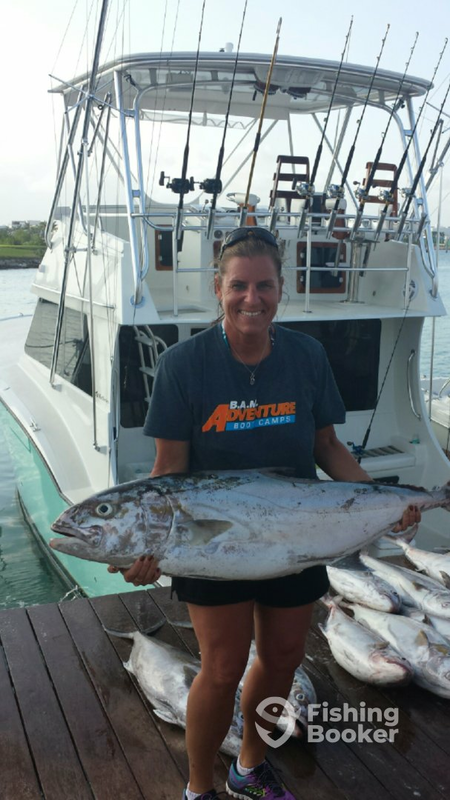 I have fished in many different places and this trip met every expectation I had…first class crew and boat! 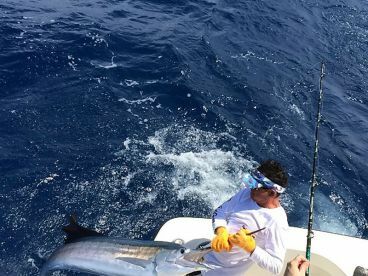 Chasing in Blue Marlin Cancun!!! 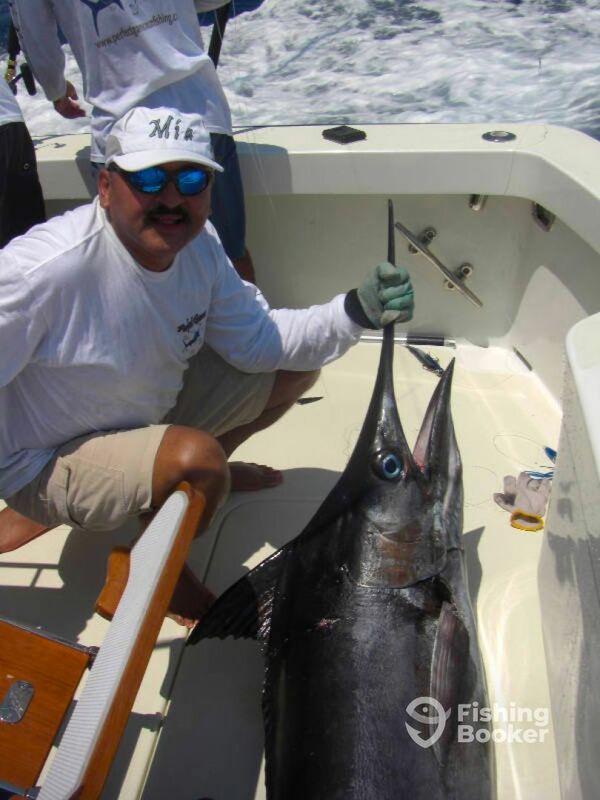 I wanted to go out fishing for Billfish, Capt. 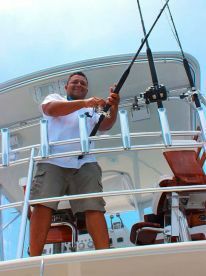 Francisco told us right away that we were going to be off season for White Marlin and Sailfish but on Blue Marlin season. Capt. Francisco explained us the area were we were going to troll all day. 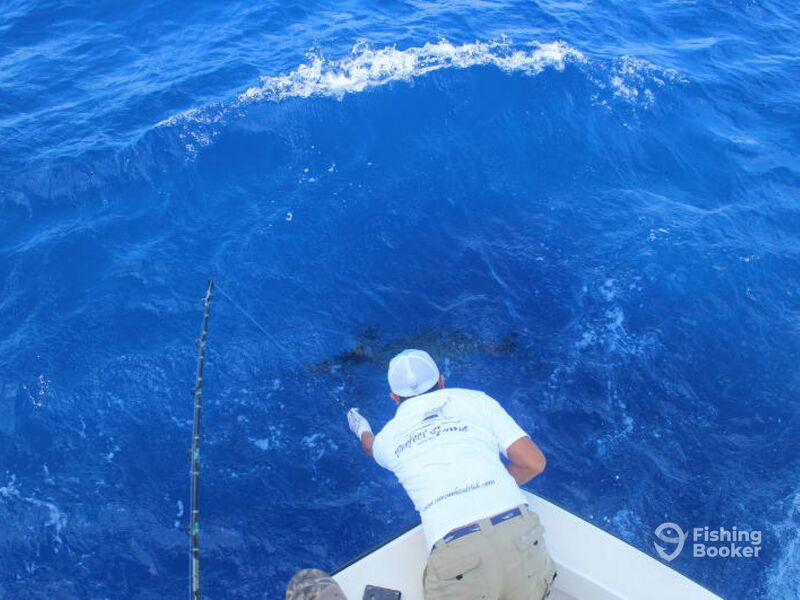 The morning was very slow until we had the first Blue Marlin strike around noon of the day. We went 1 out of 3 blue marlins, we had a great time and a great experience. 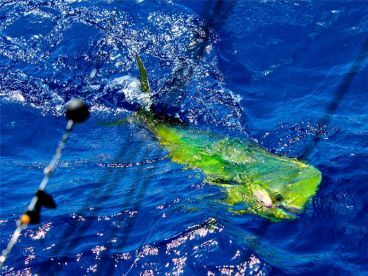 This was one of the best Captains and crew I have had a chance to be on,,, all was outstanding and he put us on some fish !!!!!! 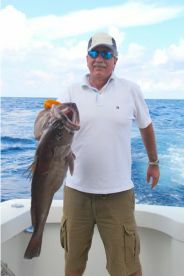 Thank you very much Bob, that was a great fishing trip. We will like to see you back in the Perfect Game soon!